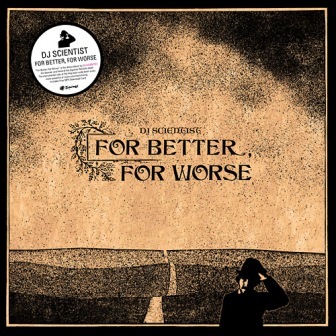 On the occasion of the For Better, For Worse release by DJ Scientist, we asked him a few questions about his work, his label Equinox Records, his wishes as a beatmaker, a producer and a label manager. Trip-Hop.net : I know you learned French at school! So : "Bonjour et bienvenue à toi sur Trip-hop.net !" Bonjour... et merci pour la possibilité de cette interview - I hope that was correct :-) - actually, it has been such a very long time and it is really hard for me to speak or write in French as I don't remember many of the words. Trip-Hop.net : Today the Equinox Label is more and more active and productive, but how began this story? What were the highlights of the past 10 years? Yes, especially this year we have been really active and productive and we have released quite a bunch of interesting and good releases I think. Well, it all began with the idea to form a label back in 2002 or even a bit earlier - it would actually be a long story, so I think I cannot tell everything right here. Basically I just wanted to start a label with like-minded artist and then started a small company together with a good old friend in Munich. When I moved to Berlin in 2005 I started to run the label solely. Now, I basically still run it on my own but a couple of friends are helping out and promotion for bigger releases is usually outsourced, otherwise it would get too much work for me. I think there have been quite a few highlights so it's really difficult for me to pick some of them ... But from the top of my head I think that "Wyred Folk" by 2econd Class Citizen and "The One Man Band Broke Up" album by Ceschi are two of my personal highlights because everything went well in the process and the final product, music and art, was satisfying too. Trip-Hop.net : In this all-digital era, Equinox Records it's also and always nice and original physical release (especially in vinyl), can you explain this choice? Is it difficult for you, as a label manager, to keep this economic model? I come from a history of vinyl culture and I wanted to contribute to that culture - I simply love to buy records, old and new ones. I also listen to a lot of music that is only available digitally, but my main choice will always be vinyl. 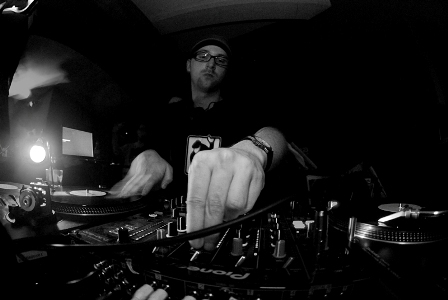 Additionally, I started as a DJ in the mid 90s and vinyl was THE essential tool to play music in clubs. 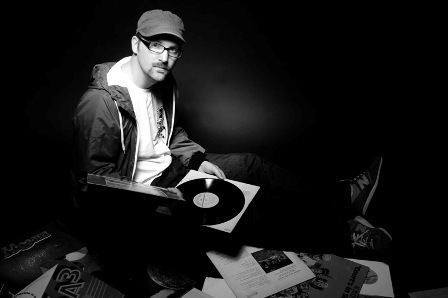 With the rise of Final Scratch, Serato and Traktor in the mid to late 2000s it became less important for DJs to have their tracks on vinyl as they could play everything they wanted from digital files without losing the common technique of using turntables and a mixer to for djing. So, this was one the things that changed the market a lot. So, at the moment there is mainly the real fans and collectors that still by psysical products - when we started in the early 2000s the regular pressing quantity of a 12" single was still around 1000 copies, it has been 500 for a while and now it's basically 300 copies. And it's not even simple to still sell 300 copies nowadays. So, looking at the financial side of things, it's really difficult to still get back the high production costs and other costs for promotion, mastering, etc. Well, there were a couple of albums this year which have been important: Deckard's "For A Better Tomorrow" was released end of 2011 / early 2012 and is a really great album I think. Then we mainly focussed on 2econd Class Citizen's new LP "The Small Minority" which was probably the most important release this year for my label. Then there is my album "For Better, For Worse" which became a bigger project, too. Most other releases were connected to these 3 keystones but we also had exciting EPs by Andreikelos and Misanthrop & Aqua Luminus III.. After my album there will still be 3 more EPs this year by J. Baracuz, which actually just came out, Playpad Circus and our new artist Godblesscomputers from Italy. 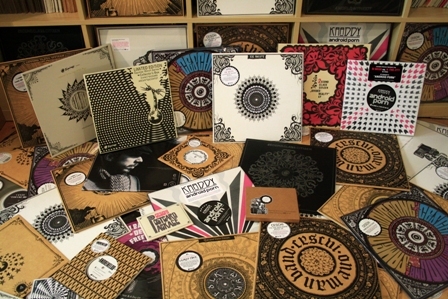 After that everything will be focussed on our 50th release - a big 10 year anniversary compilation project which will be released in early 2013 though. I think 2012 may go down in history as our busiest year, ha. Trip-Hop.net : For the label's future, what developments would you see? Trip-Hop.net : Personally, do you spend more time working on the label activities or on your own productions? In 2011 and 2012 I probably spend at least 10 times more time on work for the label than for my own music. I only spent about 3 or 4 weeks to finish my album and another 2 weeks to work on the EP. All of the music was basically done years ago. It's actually a bit sad - it's one of the things that I want to change next year. I will be back on making music - one of the first projects will be the second Ceschi album that is almost finished. Trip-Hop.net : Why did you wait such a long time to release "For Better, For Worse"? There are a couple of reasons for this. Some of them are mentioned in the release notes of the album. Mainly, I just didn't find the time to finish the music and to compile it to a product that I was happy with. My album was already announced in 2006 in the liner notes of my "Journey Goodbye EP" - but times were difficult for me back then - I had moved to Berlin and worked hard on the label. Then in 2007 the music that I had done between the years 2001 and 2006 already felt quite old to me and I also met Ceschi that year. So for the next few year I focussed on doing music with Ceschi - and I am happy with all music we did. But still, I had my album in mind all the time and it kind of bugged me that I wasn't able to release it back then. Trip-Hop.net : This explains the choice of the album title? Well, like I said above, at that time I wasn't really feeling the album anymore although I had literally spent thousands of hours of sampling and putting together the music. The album title "For Better, For Worse" simply reflects that the album is here now: It's finally released - noone will be able to take this away from this planet anymore, for better, for worse... haha. But although the title may sound slightly negative, I am really really happy with the album now. You always can do things better and more perfect and if I wouldn't have worked so much on the label at that time, I think I probably could have even 2 or 3 more new good tracks for it, but mainly it would have stayed the same. Trip-Hop.net : In 2010 you released "The one man bands instrumentals" (the instrumental version of Ceschi album), do you consider "For Better, For Worse" as your real debut album? I consider my album "For Better, For Worse" as my debut album as it was supposed to come out in late 2006, early 2007. It features music that was produced from 2001 and 2006 and so it's a concluding document of my early period. I think my style of beats changed after that. Trip-Hop.net : How did you work on "For Better, For Worse"? How many samples did you use? The whole album is based on samples. I usually start a song with one sample that I like very much and try to find other samples that fit together with it. Then I start to create an arrangement step by step and usually add more samples and details. For the whole album I think that I used about 500 to 600 samples. I am currently trying to make a list with all samples used - but it takes a lot of time and I guess I won't release this to the public. Trip-Hop.net : You especially love dark and psychedelic atmospheres, what are your influences? Yes, I think my album is quite dark at parts. My influences come from a lot of different music I listened to at that time or music that I listened to when I was a DJ. I made an extensive list for DEAD Magazine which lists influences for "For Better, For Worse" - some of them might be obvious, some of them might be quite surprising. Trip-Hop.net : "World of Stone" is another version of the title "Atarius" (released in 2006 on Journey Goodbye EP). Why did you choose to give it a new name? The name "Atarius" has always been some kind of temporary title - a ficticious name that made no sense. However, I had those vocals in there by a preacher talking about the "World Of Stone" - I really thought that would be a better title of the track. The track also got reworked a bit, so I wanted to make it feel "new" to myself. I think this album version is the best and final version of this song. Trip-Hop.net : What are your projects as a beatmaker? Do you plan to work with vocalists again, or continue in this instrumental way? Yes, like I said above my next focus will be on the work with Ceschi again. I think I won't release another instrumental album too soon as it is much more difficult to do. Probably I want to do an album with other guest rappers - we'll see. Trip-Hop.net : What are you listening to these days? Apart from that I still try to keep up with new music as best as I can. I listen to a lot of that other Beatmaker and Future music. 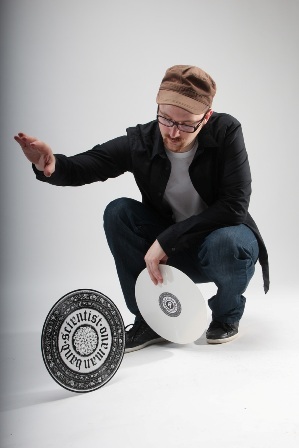 Trip-Hop.net : I know there are some vinyl collectors here on trip-hop.net.net, what are the 2-3 specimens you're happy to own? Ah, I am really bad at this, because the only records that I think about are those that are NOT yet in my collection, haha. And there are actually too many that I still need... I am addicted. Trip-Hop.net : Well, last but essential question: When do you come in France? I hope that we can do some gigs in France for the 2013 tour in May - this would be great! France has always been supportive and sometimes it was easier to get gigs in France than in Germany itself. 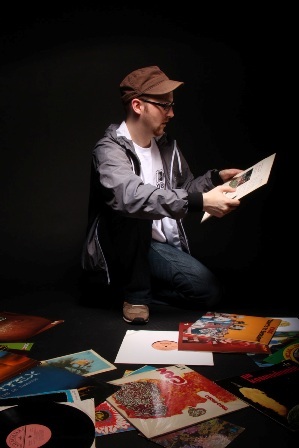 Trip-Hop.net : Thank you very much for this interview! Propos recueillis par : Tonio59.